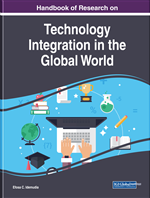 This chapter discusses a growth framework for industry web portals which present a new opportunity in the internet business. The framework contains five stages: business plan stage, website development stage, attraction stage, entrenchment stage, and defense stage. The actions to be taken and strategies to be applied in each stage are set out. Two industry web portals are investigated in detail. The two examples illustrate the applicability of the proposed growth framework to the real world. The combination of a conceptual growth framework and the application of this conceptual framework to two real-world examples yields a set of guidelines based in large part on lessons learned from the two examples. Thus, this chapter provides a concept-based growth framework and a set of real-world-based guidelines that will very possibly provide a practical benefit to industry web portal business practitioners. Up to 2018, Internet World Stats (Internet World Stats, 2018) stated that more than 4.15 billion people (54.4% of the total world population) pursue various activities through the internet. More than 320 million people (88.1% of the total population) in North America access the internet for email activity, for information and to purchase products online. Web Portals became an essential part in all internet-based activities. At early stages, web portals identity referred “to the category of firms that have evolved from early roots as World Wide Web search engines, but may now include features such as calendar management, chat, free e-mail, games, and shopping, among others” (Gallaugher & Downing, 2000). According to Rao, web portals started as digital doorways, however eventually they became destinations or permanent parking spaces for users (Rao, 2001). In Internet, there is no limitation of physical places and spaces, and accessing time. These characteristics make the general Internet business to have “winner-takes-all” effect. It is extremely challenging for new entrants to penetrate the general web portals segment. On the other hand, taking into consideration the evidence of the emergence of professional virtual communities (Arinze, 2012; Chen & Hung, 2010; Franchi et al., 2013; Yu et al. 2009), professionals in different industries or specialized areas seem willing to utilize virtual platforms for information exchange and social support. For example, it is reported that up to October 2017, an online academic community (Chen et al., 2016; Xu et al., 2012), ResearchGate, had over 14 million registered researchers. Online academic communities enable researchers to construct profiles which contain researchers’ information, like their name, photos, educational background, research interests and publications. Via engaging in online academic communities, researchers can obtain the benefits of maintaining contacts with old scholar-friends and finding new scholar-friends they might be interested. In addition, researchers could showcase to other researchers with their research progress and disseminating research results including papers, presentations, patents, and projects, which may ultimately raise their academic influence. Via online academic communities, researchers can be aware of the works being conducted by other researchers in their professional area, which can help them to discover new information and develop research ideas. The online academic communities can foster social awareness of researchers and facilitating academic collaboration among researchers (Xu et al., 2012). Thus, industry or specialized web portals present an excellent opportunity. We will use the term industry web portals to refer to industry web portals, specialized web portals, and professional-specific web portals (Zhou et al., 2014). The major differences between general web portals and industry web portals involve the content and the users. An industry web portal’s content is about the specific industry, which may include news, knowledge, recruitment information, various virtual sub-communities, and domain-specific features. For example, with the big number of users registered on an online academic portal, the information overload problem presents a great challenge for researchers to find relevant and reliable scholar friends there; in order to reduce the information overload, a very useful domain-specific feature for an online academic portal is scholar-friends recommendation, which sending more targeted recommendation information to users. The visitors of an industry web portal are individuals working in the industry, people working in a related industries, and others seeking job opportunities in respective business segments. Visitors come to an industry web portal for diverse purposes which may include individuals looking for news and jobs, learning new knowledge, seeking friendship, support, playfulness, self-esteem enhancement, and satisfaction, sharing knowledge, experiences, opinions, and ideas, and looking for co-creation of new knowledge, new products, and new services.